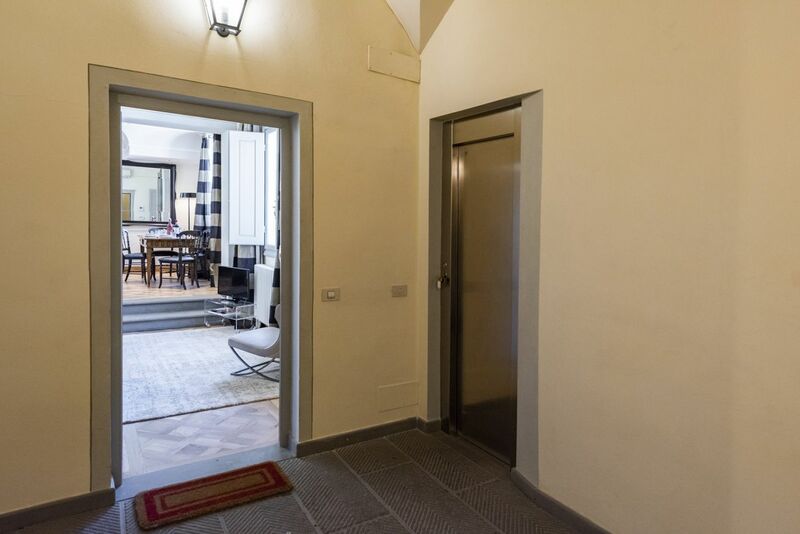 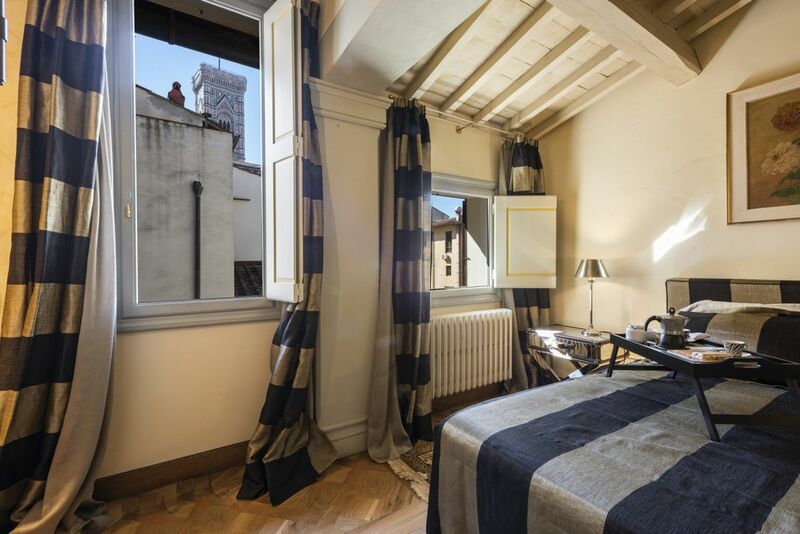 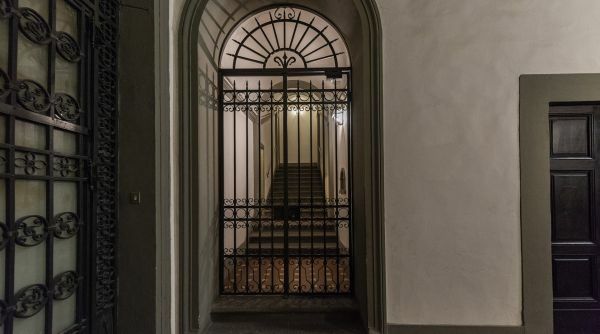 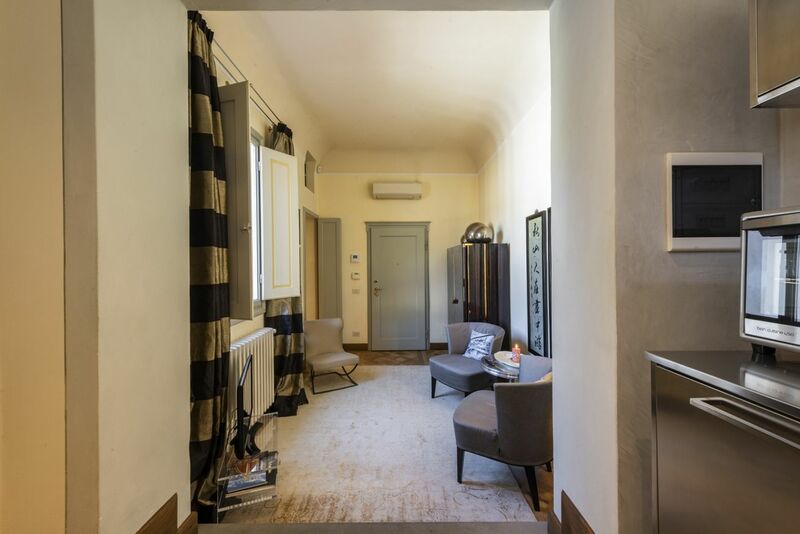 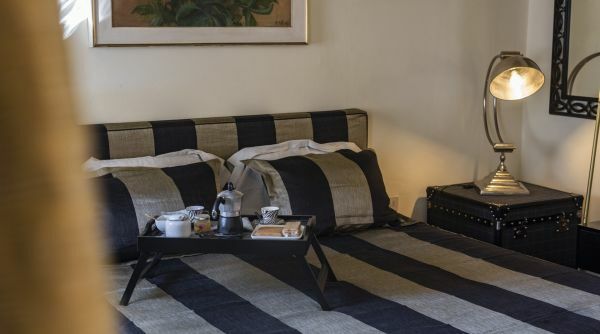 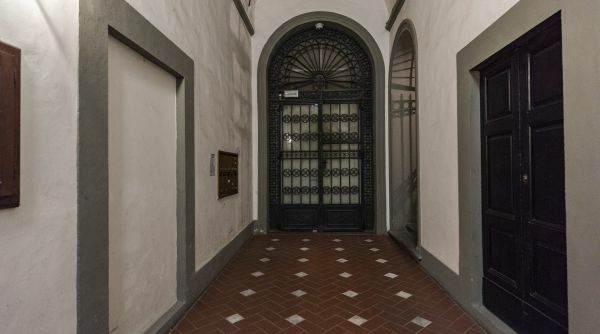 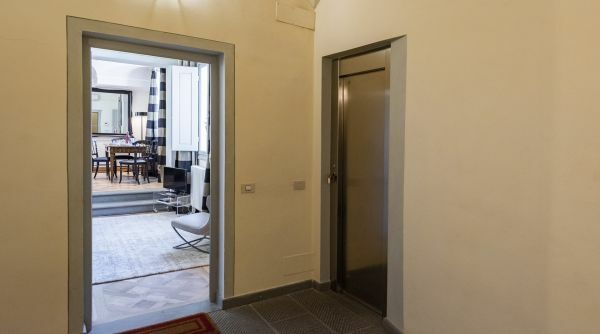 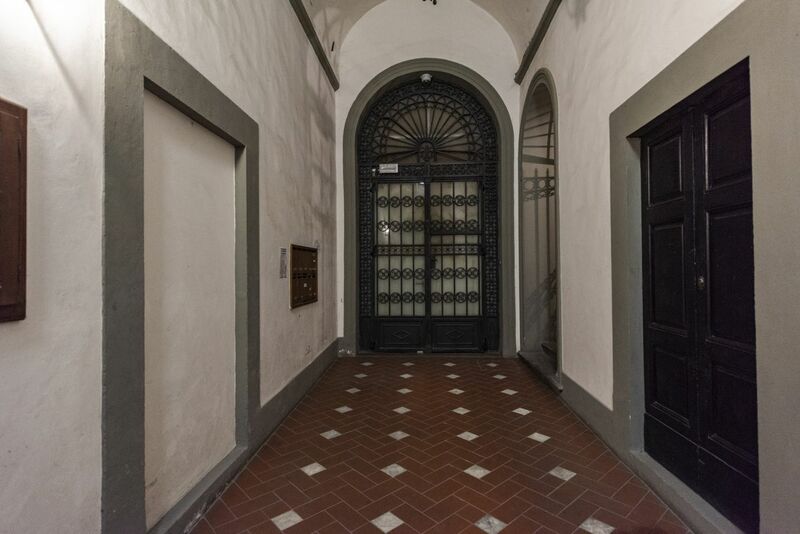 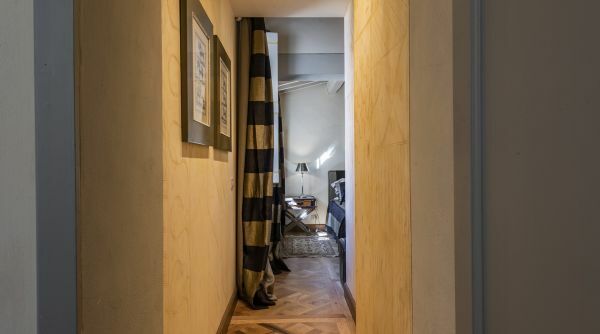 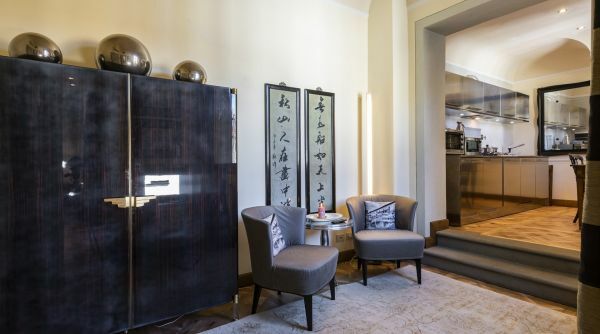 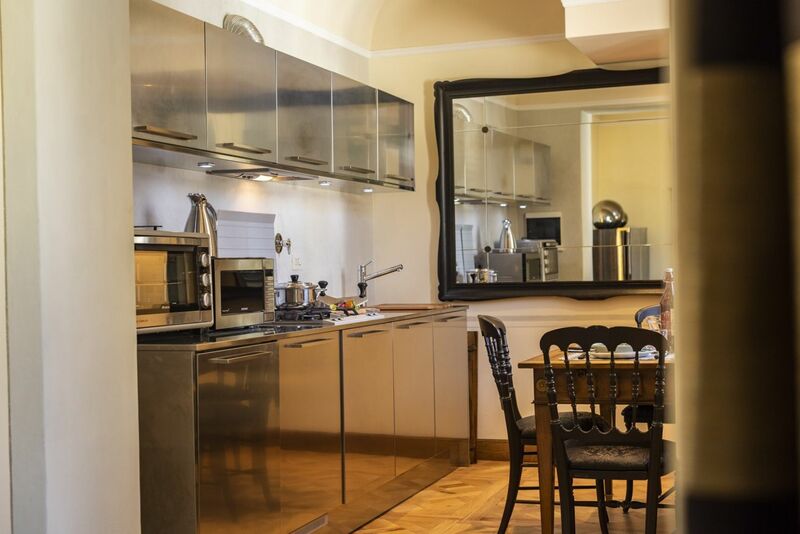 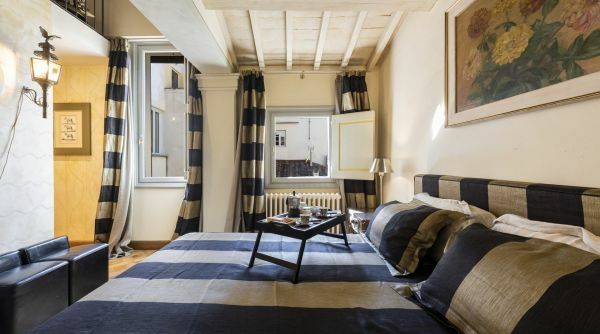 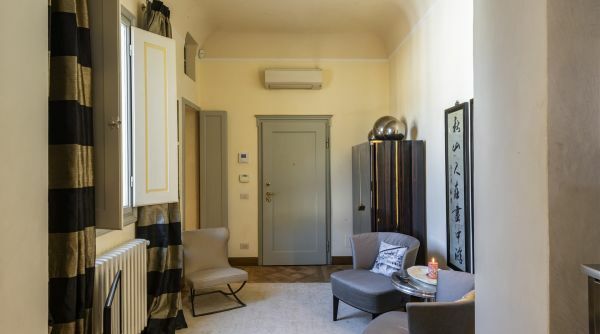 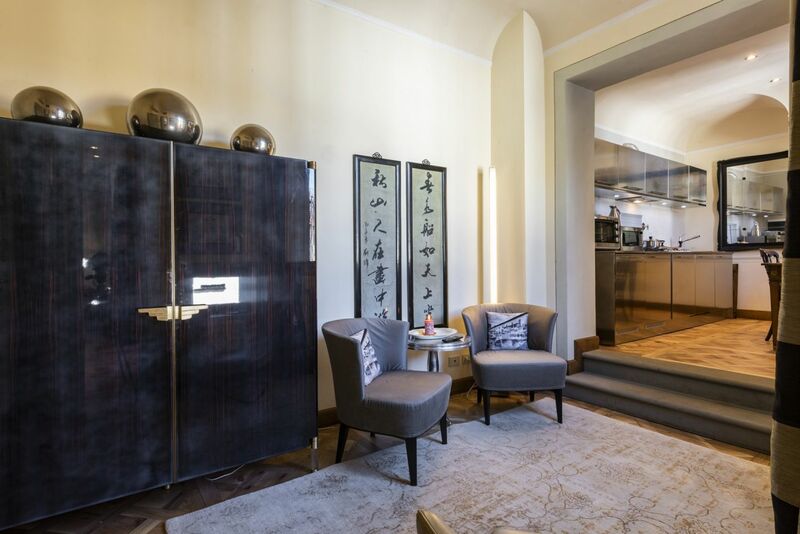 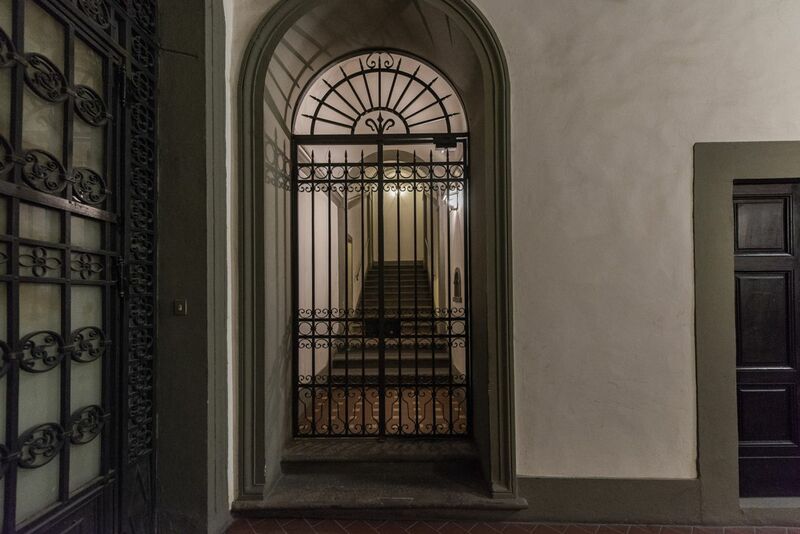 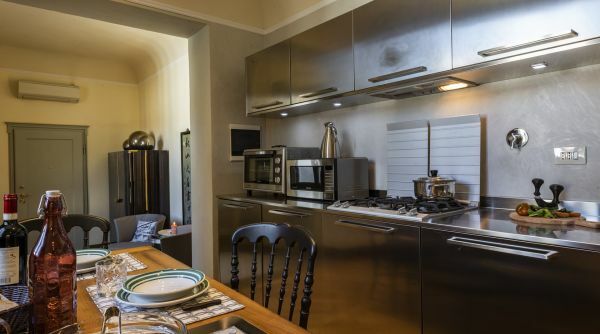 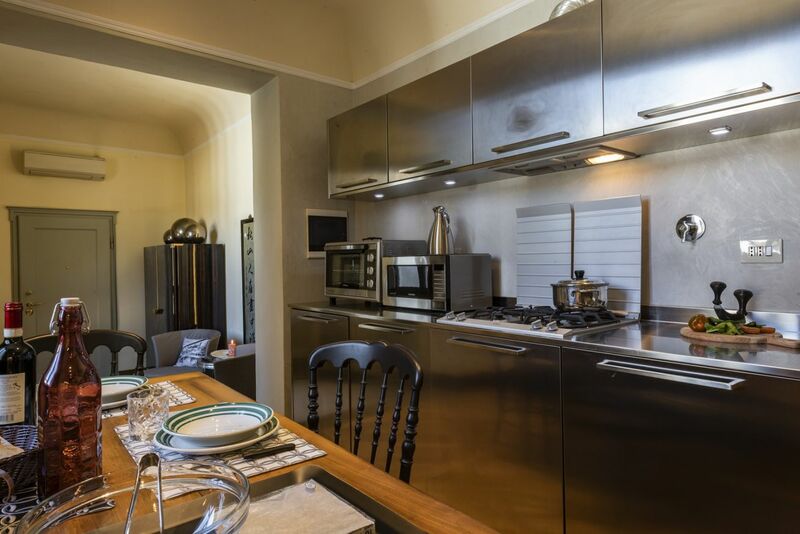 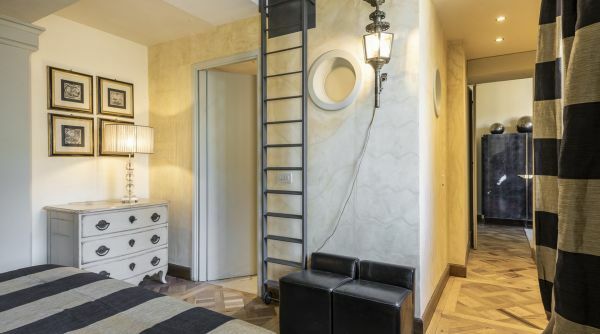 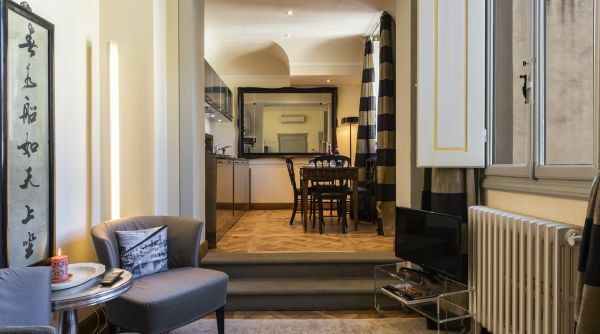 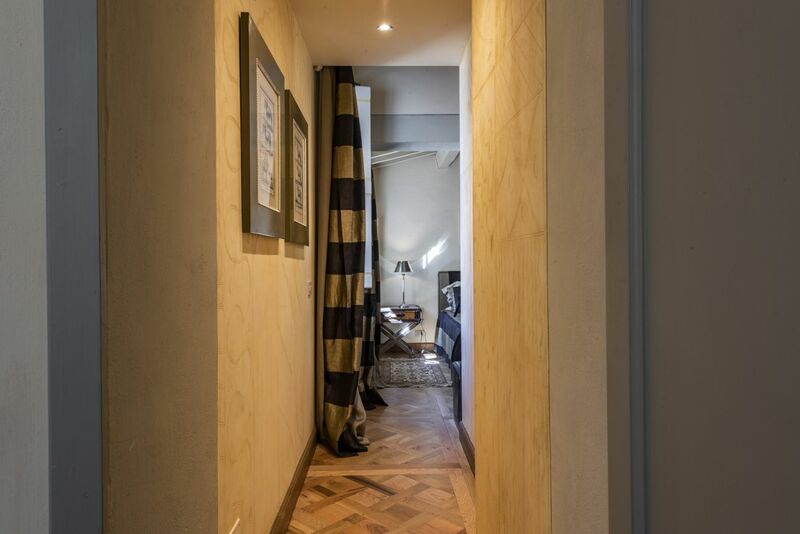 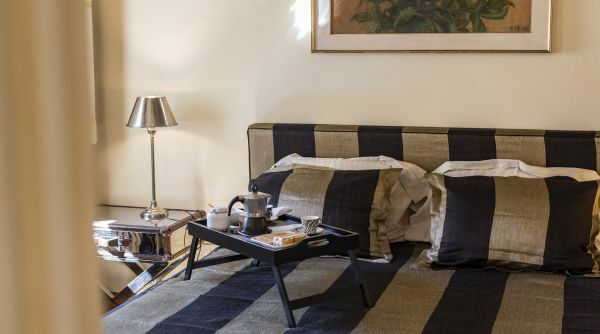 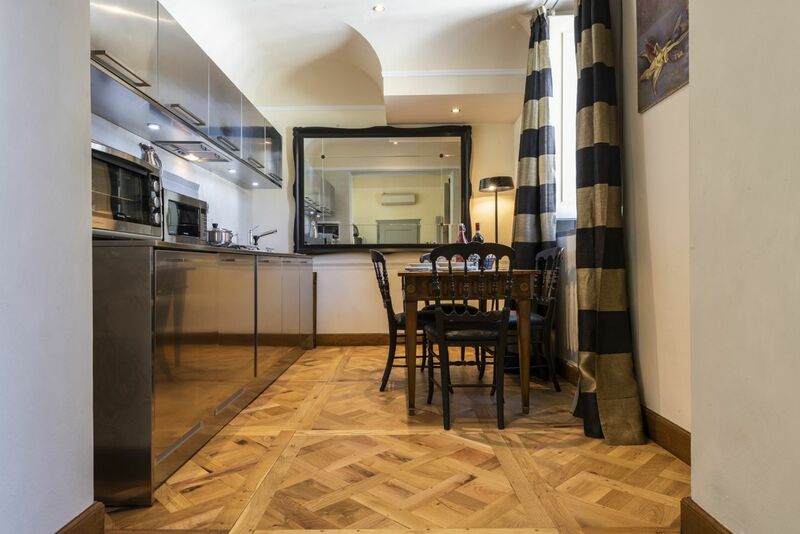 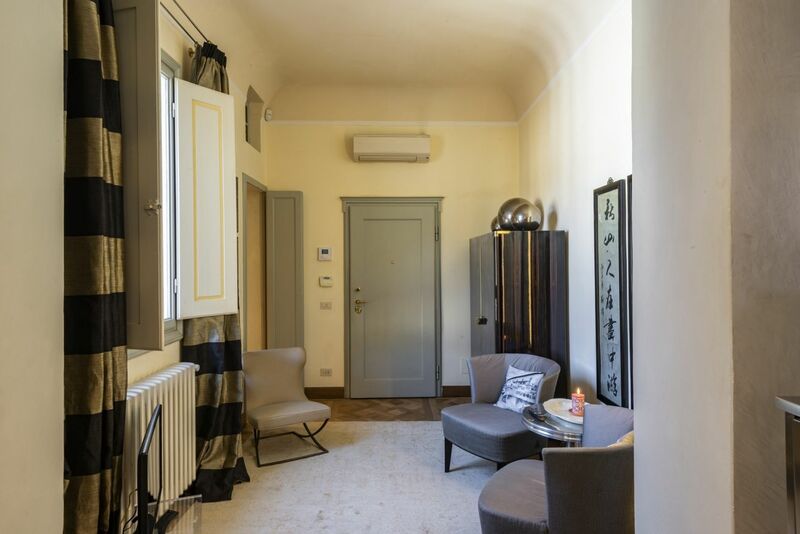 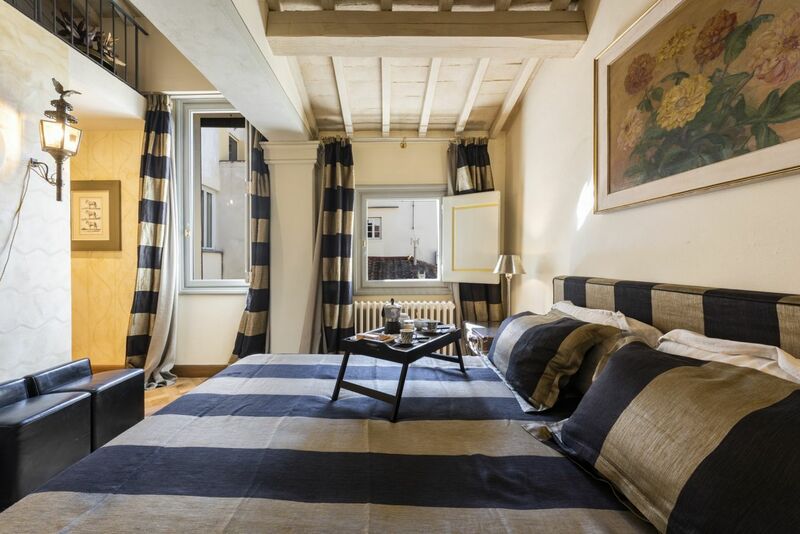 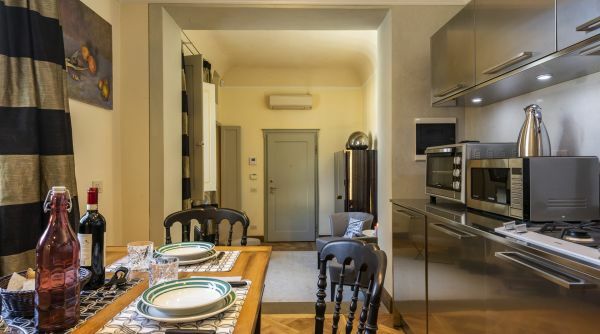 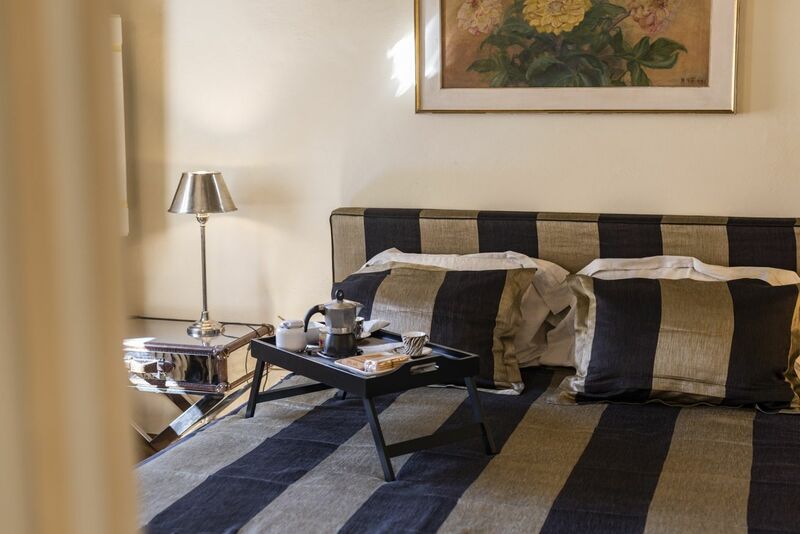 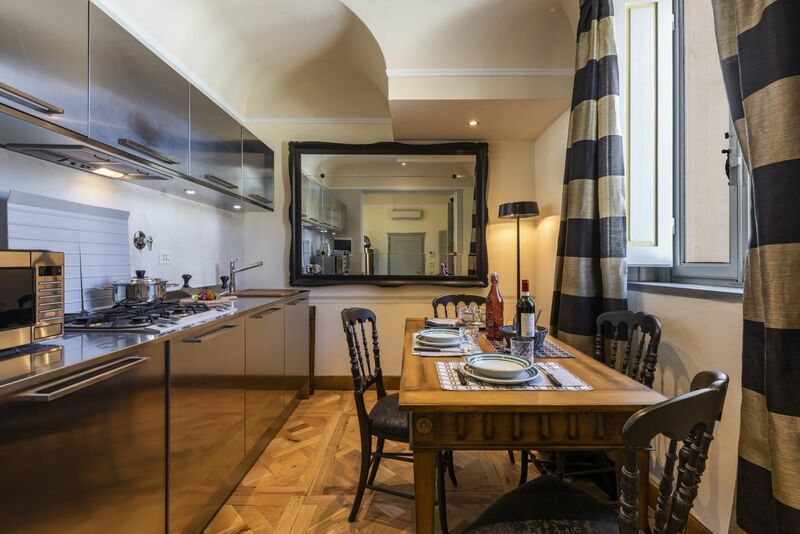 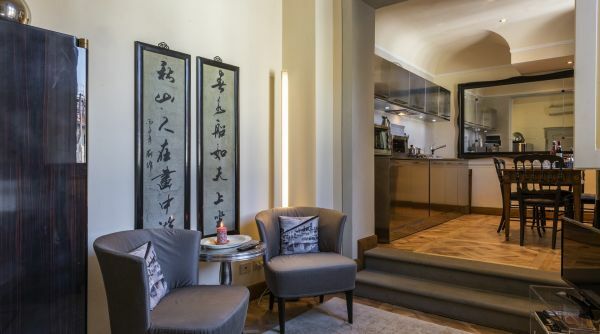 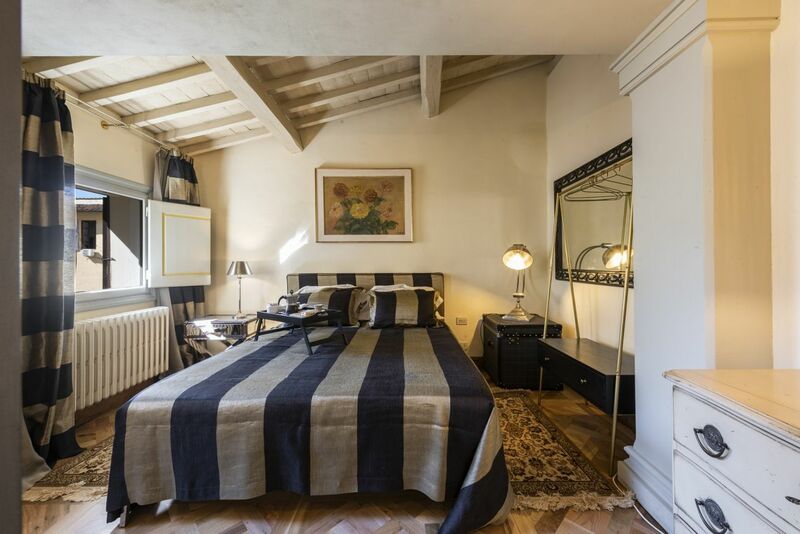 This beautifully renovated elegant 1 apartment is located a few steps away from the Duomo, right in the heart of the city center. 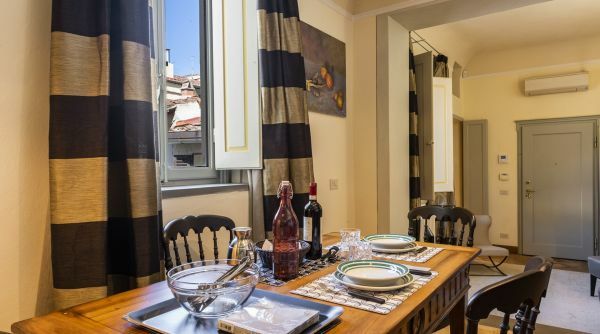 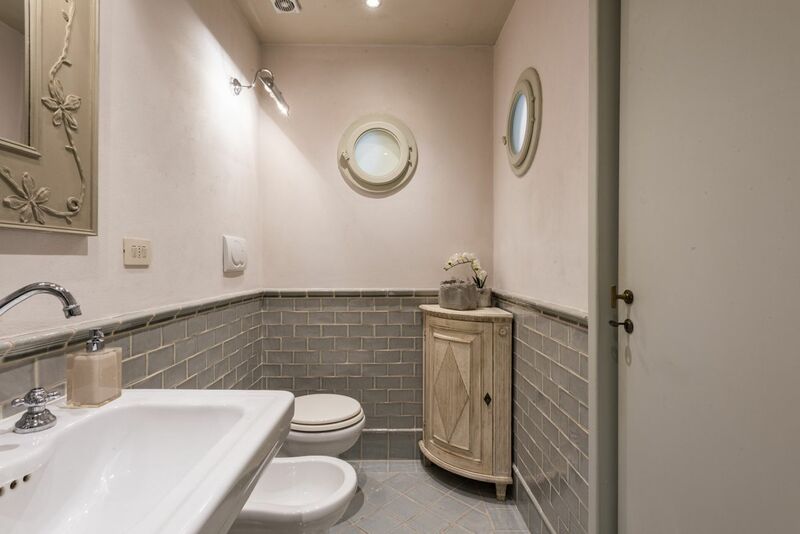 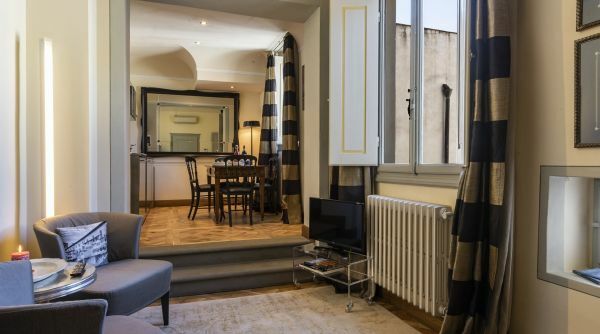 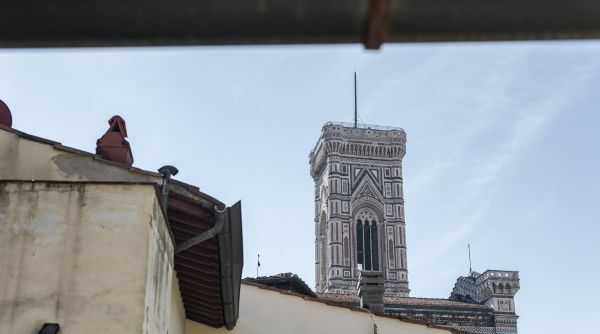 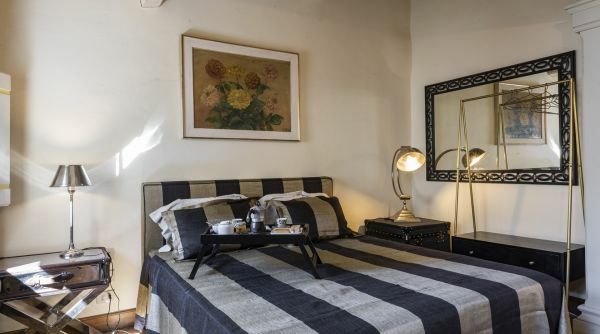 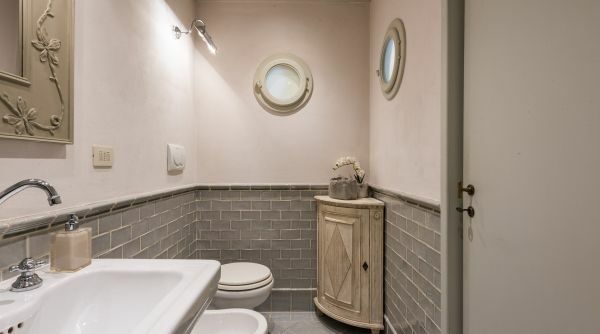 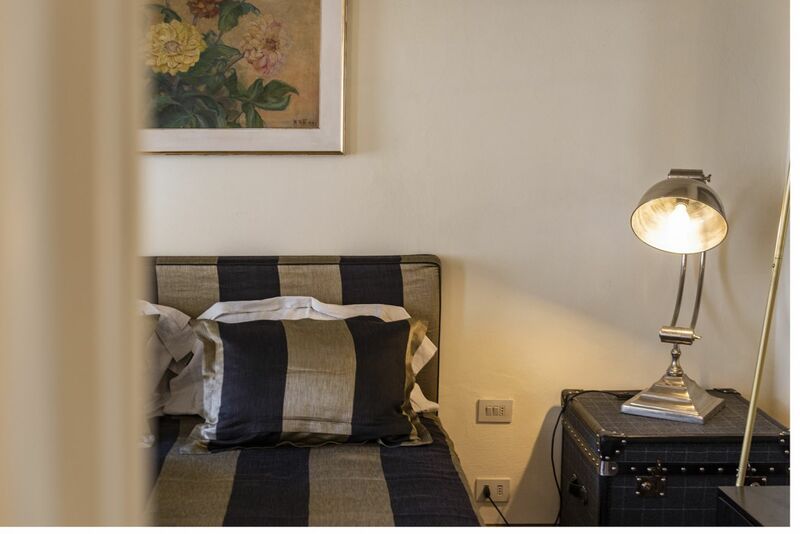 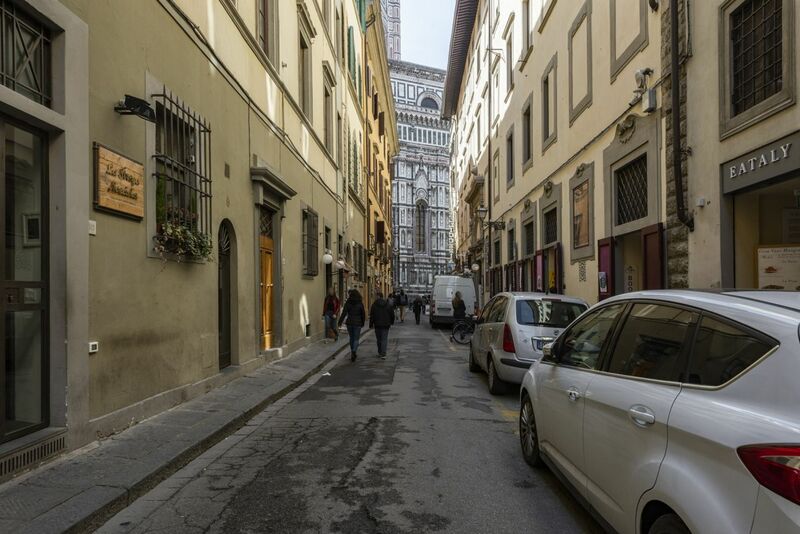 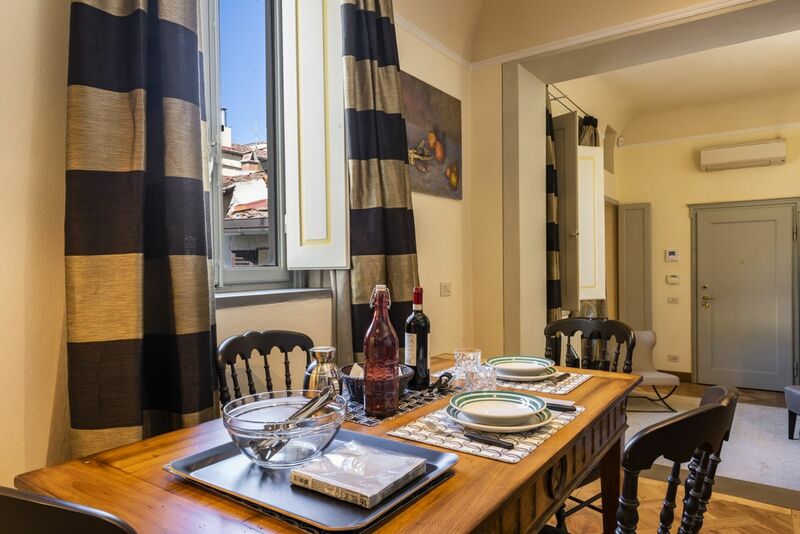 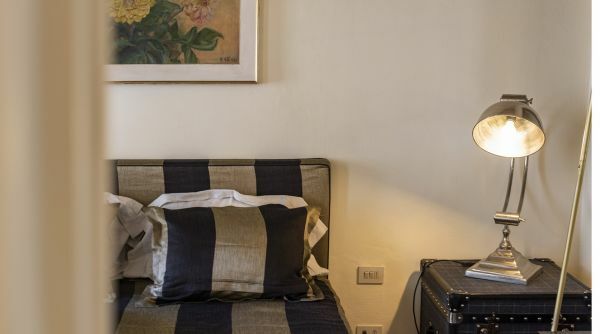 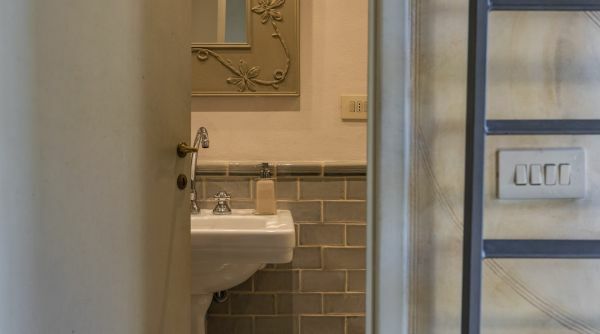 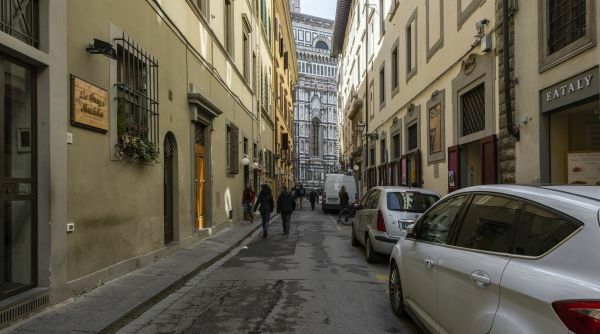 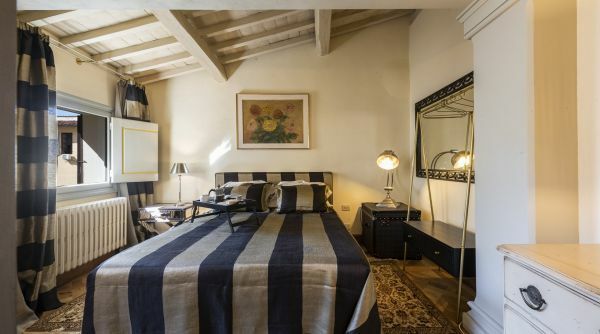 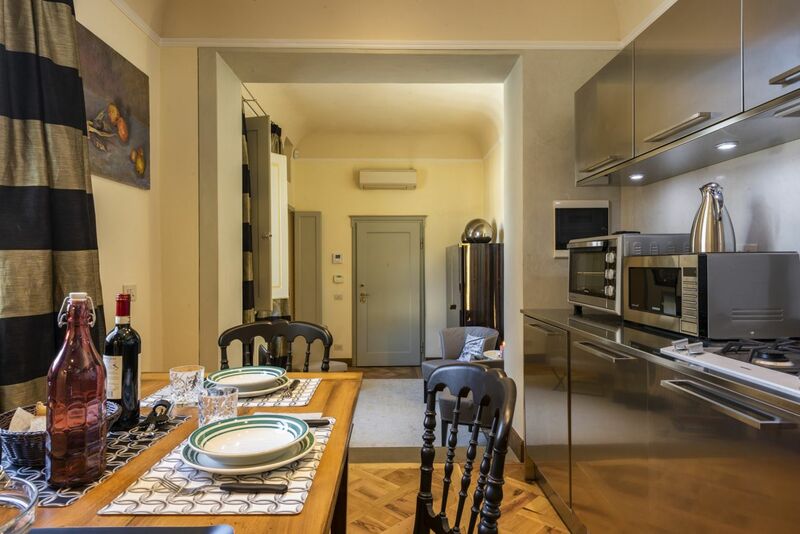 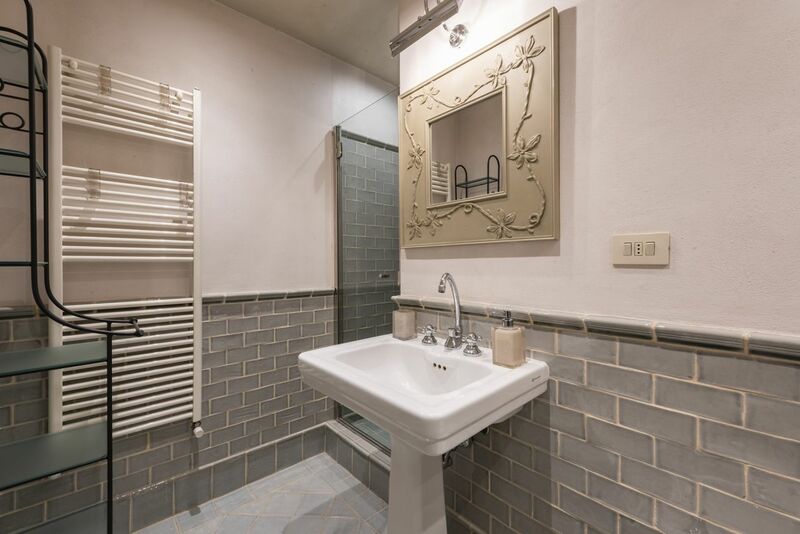 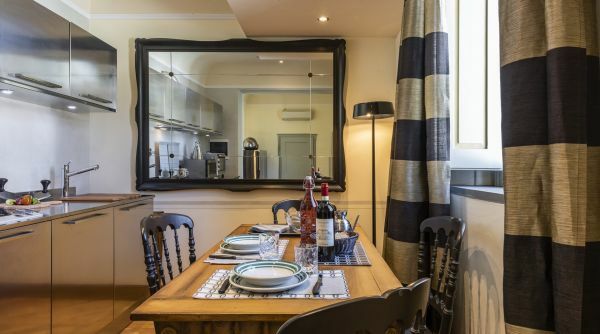 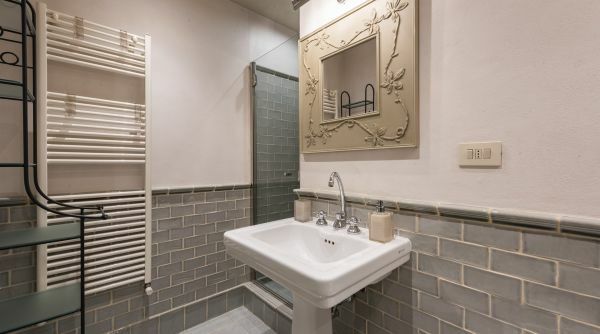 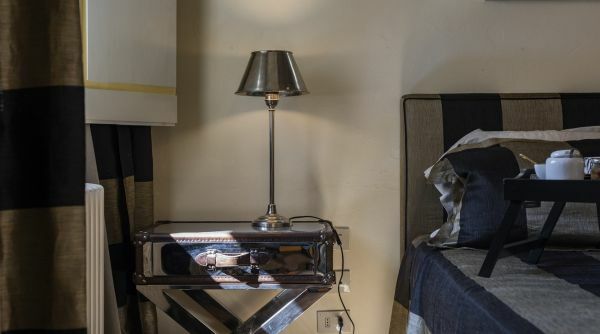 The position is great since it is a walking distance from all main tourist spots, surrounded by many traditional trattorias, bars and aperitivo places. 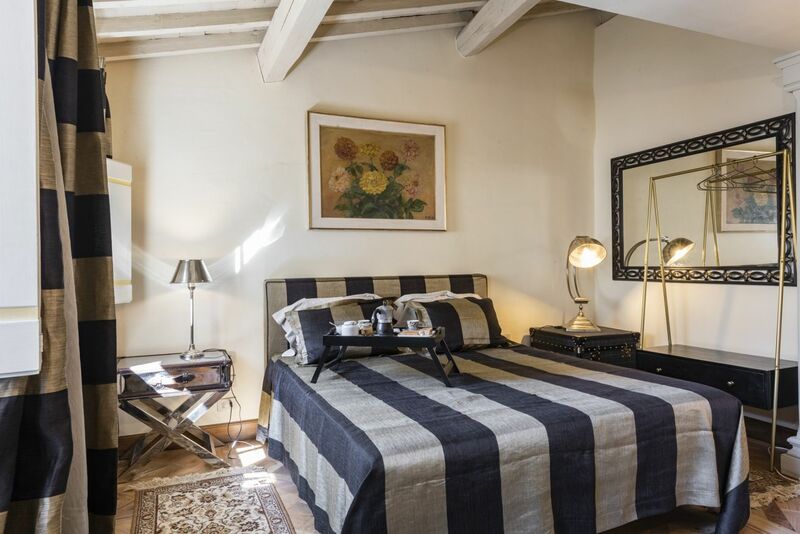 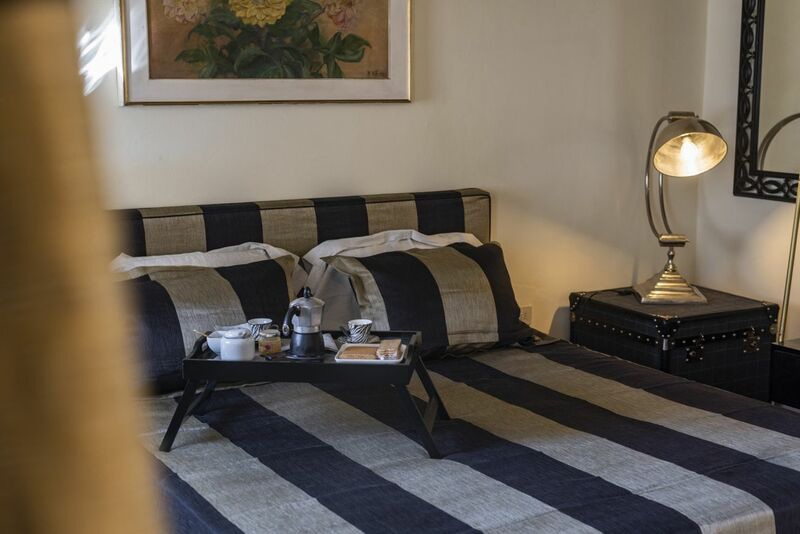 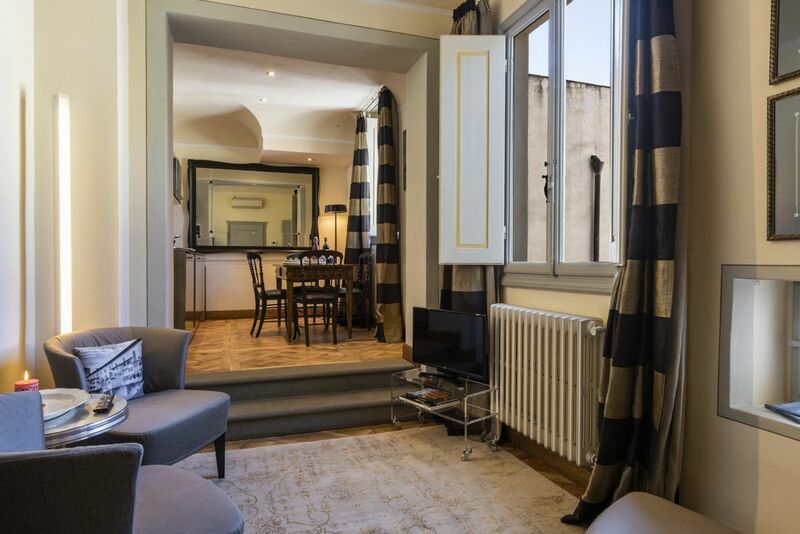 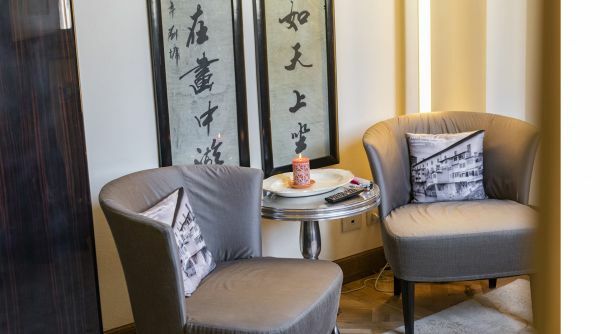 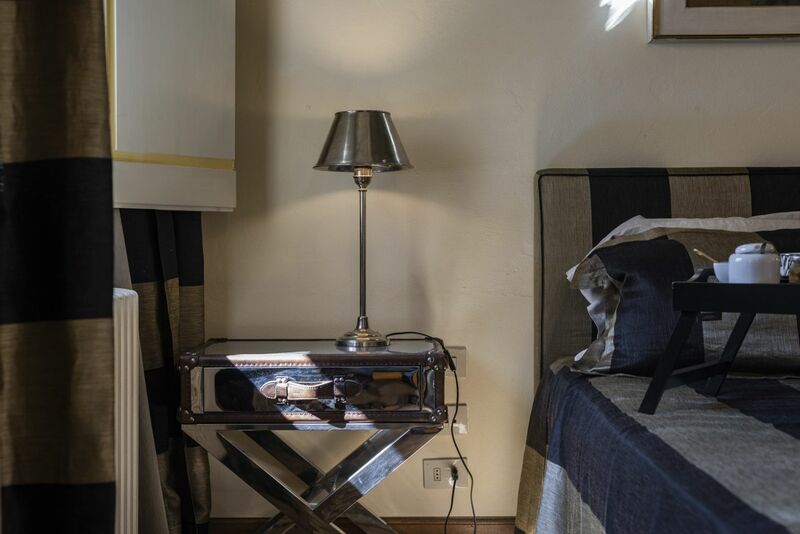 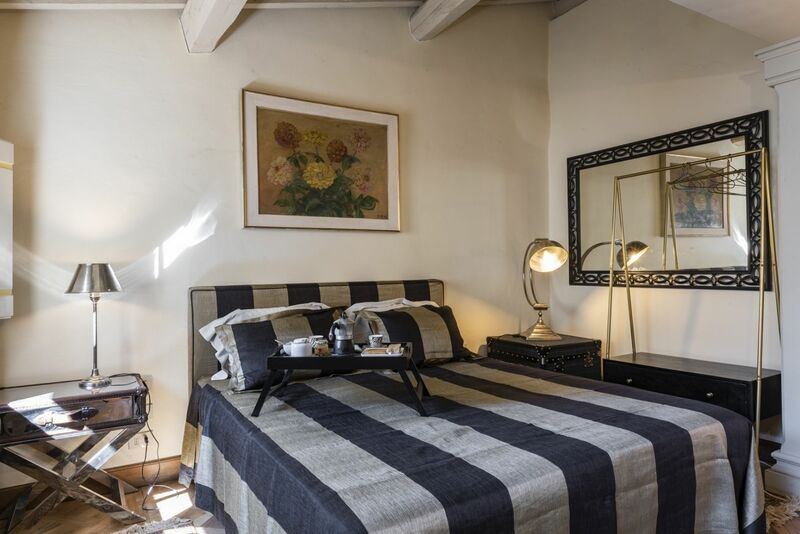 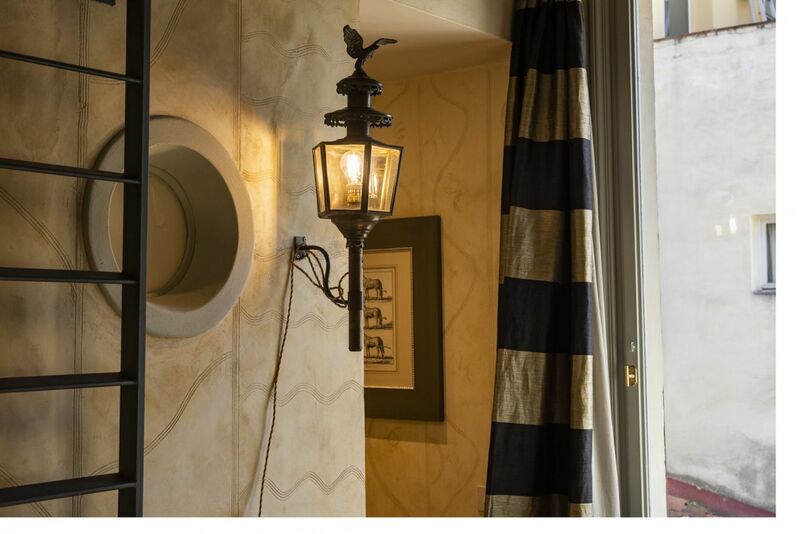 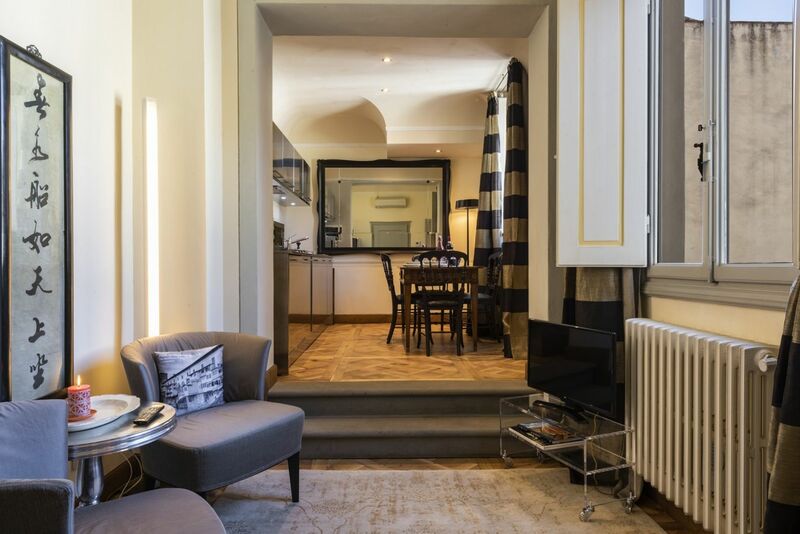 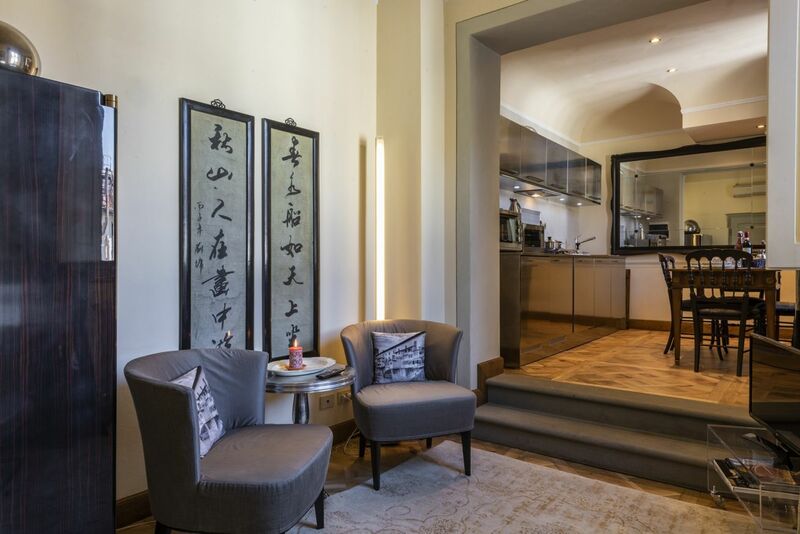 The property has been renovated in a modern and sophisticated manner and has a warm yet elegant atmosphere. 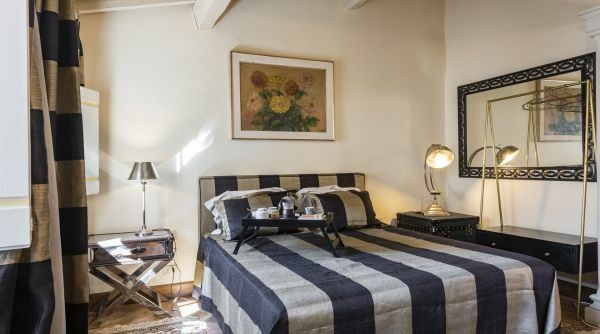 Some original features of the structure have been preserved, like the original wooden beams in the bedroom. 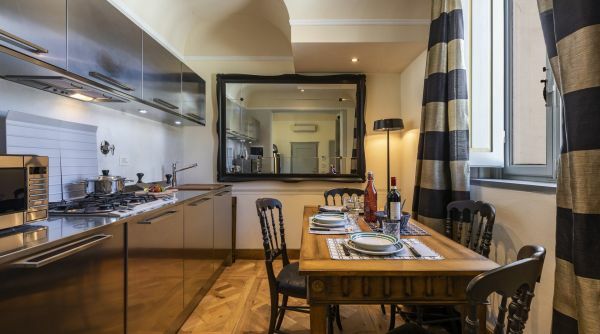 As you walk into the apartment you find yourself in the living area, which connects to the kitchen creating an open space. 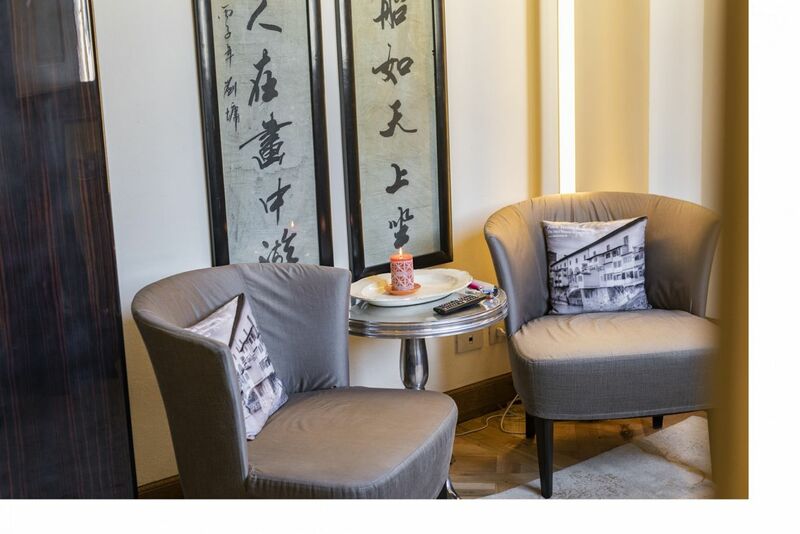 The cozy seating area consists of three seating chairs a TV set and a cupboard to store your belongings. 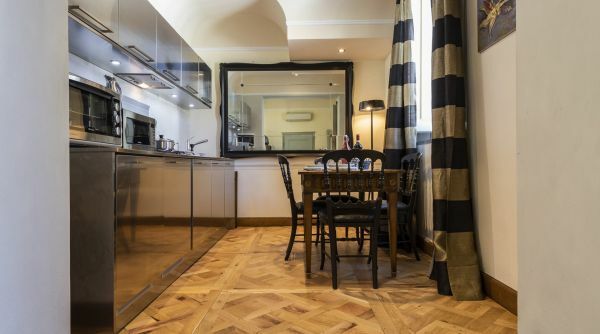 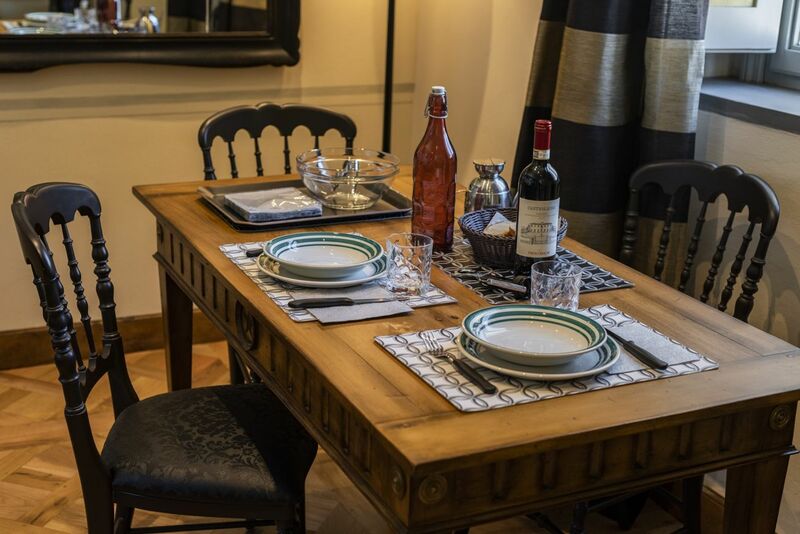 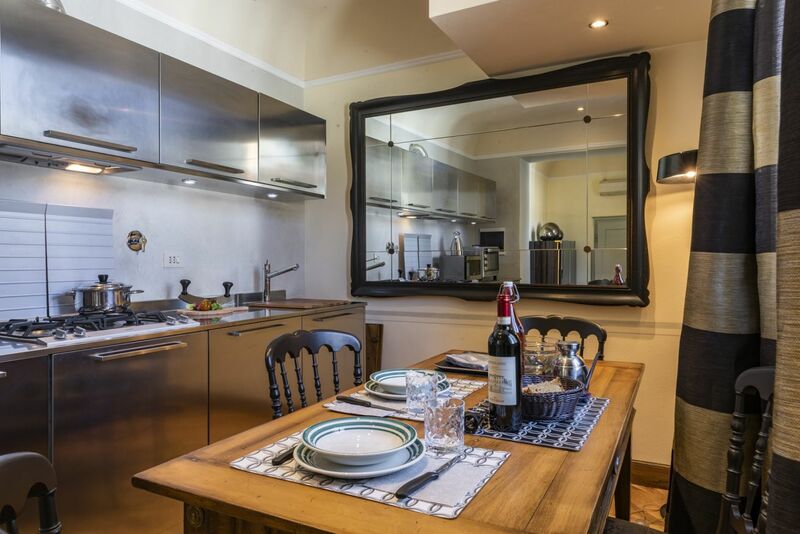 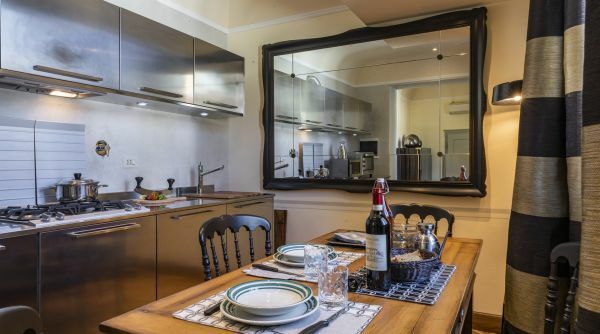 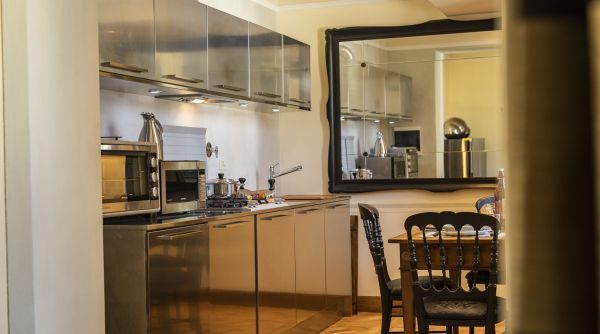 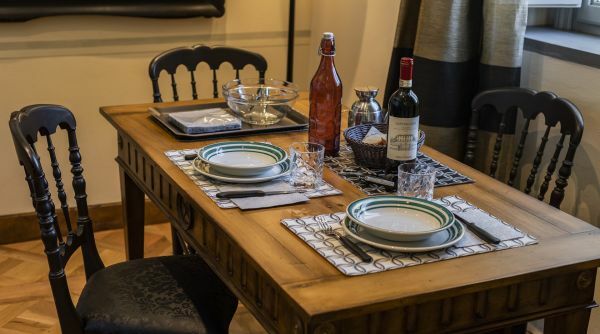 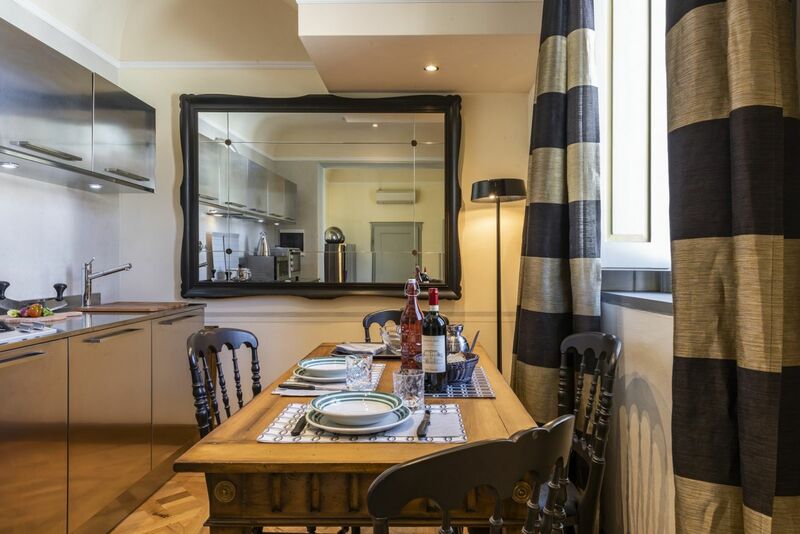 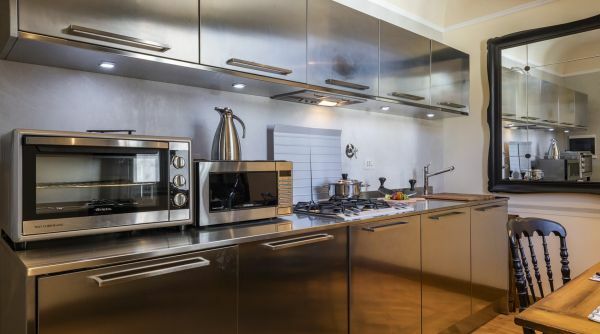 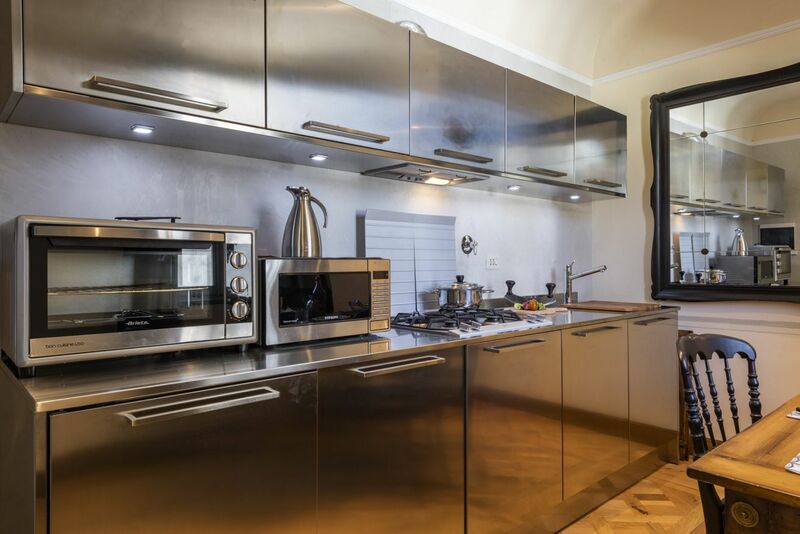 The kitchen is modern and fully equipped, and there is a dining table for 4 people. 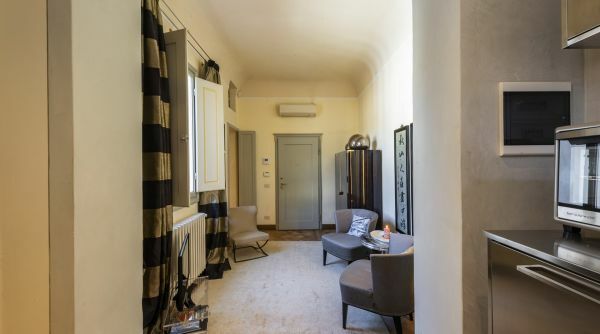 The entire open space is filled with natural light during the day and it’s also decorated in a way in which tradition and modernity re combined. 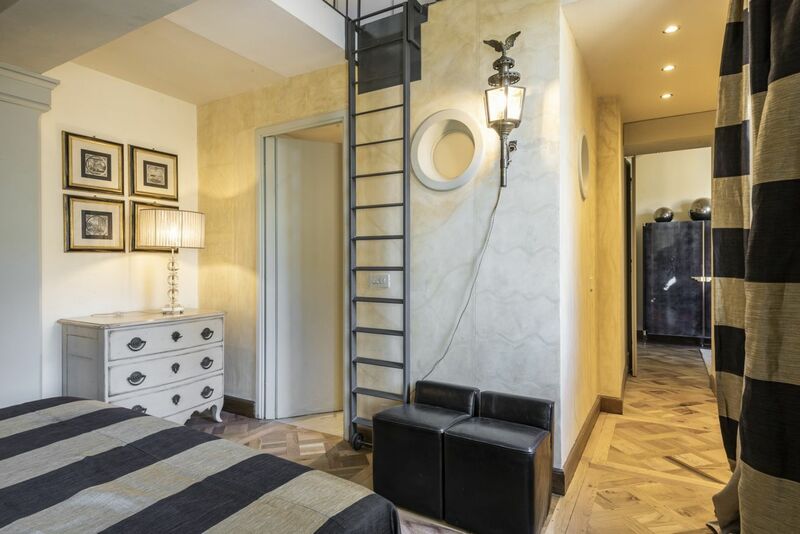 The bedroom have a comfortable double bed, a chest of drawers and a mezzanine space, ideal for long term storage solutions. 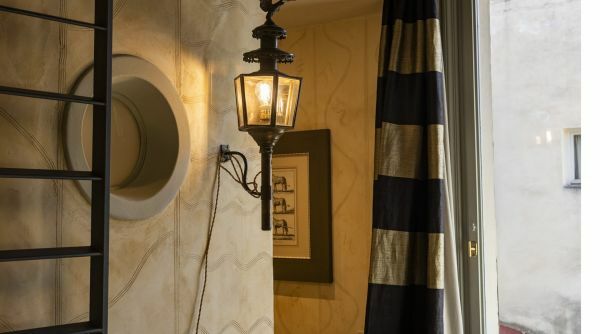 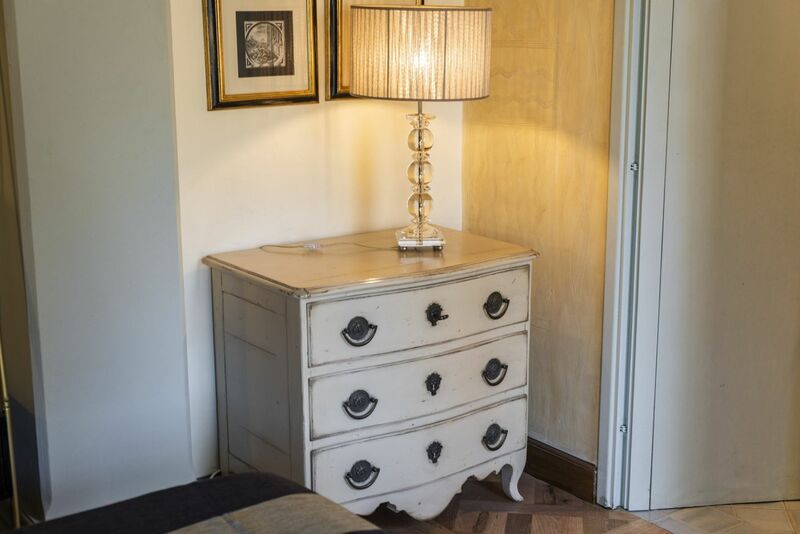 The decoration theme continues in both the bedroom and bathroom combining modern touches and fixtures with more a traditional feeling. 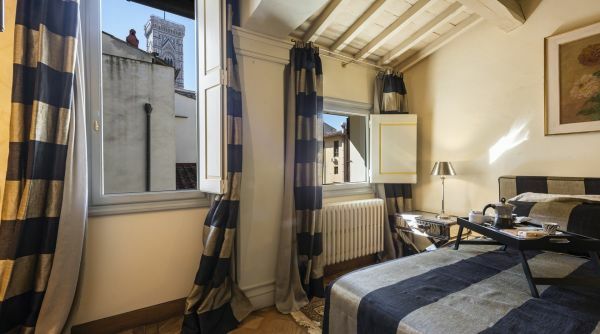 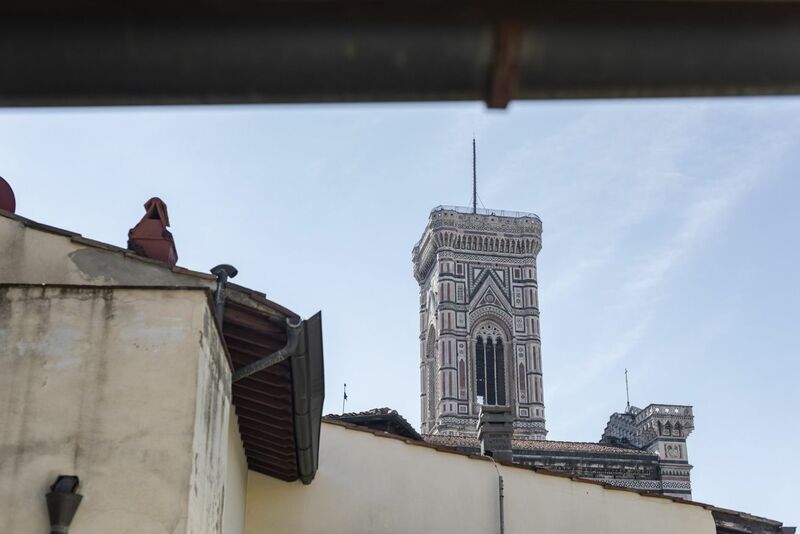 There is also natural light coming from the window from which you can see Giotto Tower! 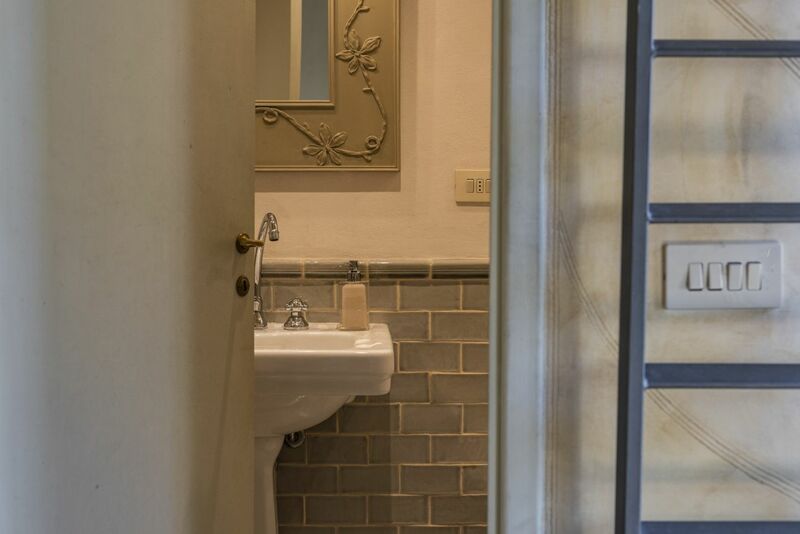 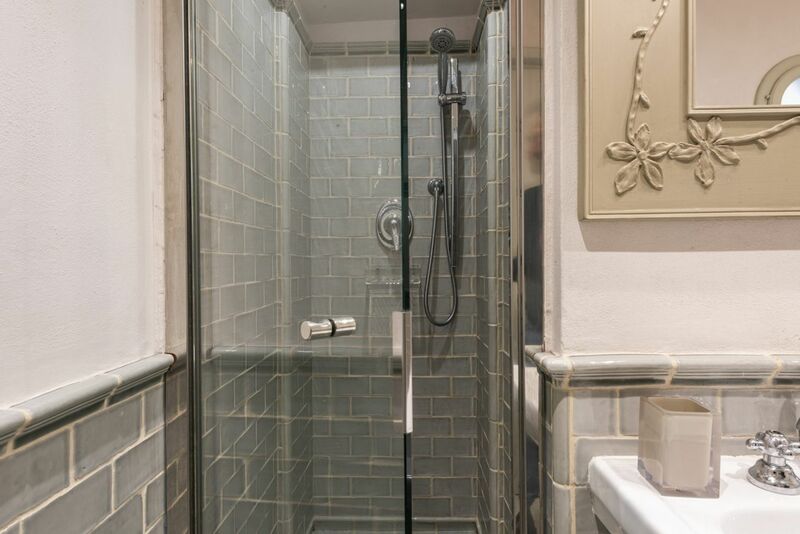 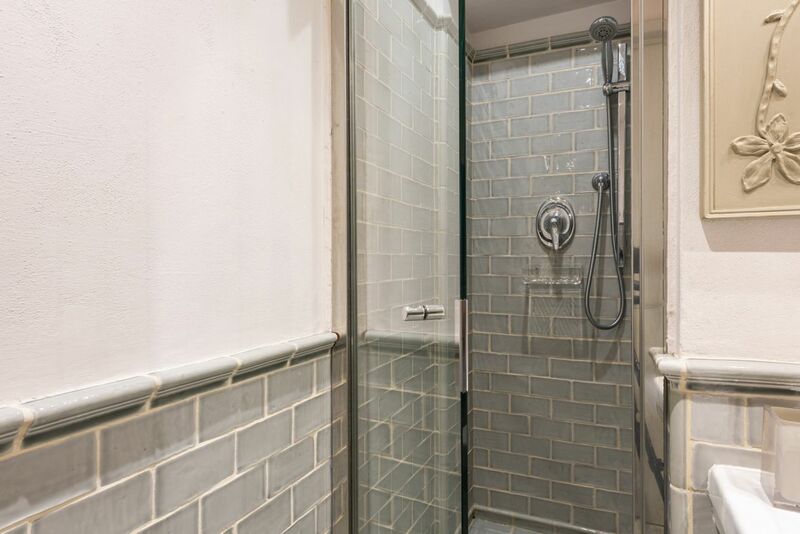 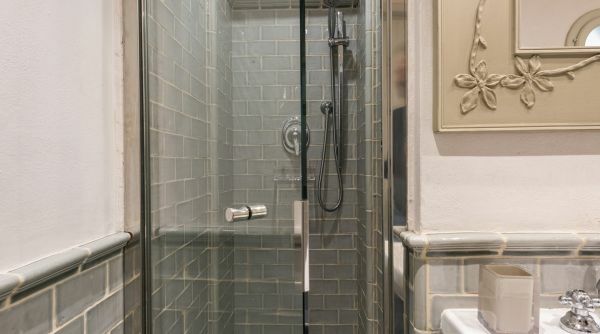 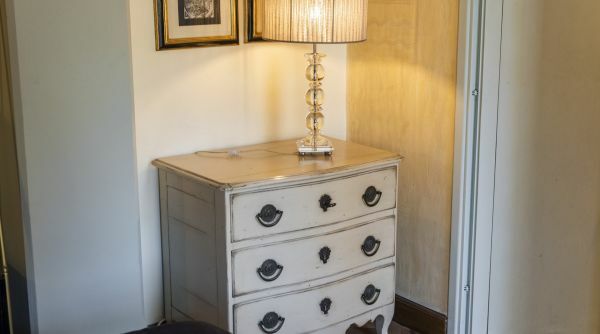 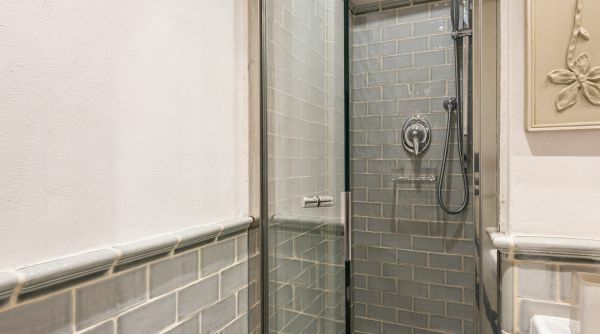 Inside the bedroom there is an en suite bathroom fitted with a modern and renovated shower.